This whole year-end-new-beginning time of year always has me looking back at how far this little blog has come and makes me wonder where it'll go in the future. With the answers to those questions being: (1) a long way; and (2) I have no idea. :) It's been such a fun ride and I hope it stays that way, as I have no intention of stopping anytime soon. So while I'm in this reflective state of mind, I thought I might look back at my some stats about my posts over the last few years. So this 5 on Friday edition is going to be my Top 5 Blog Posts of all time. If you haven't been reading for years (and probably not many of you have been), please feel free to go back and check some of these out. 1. 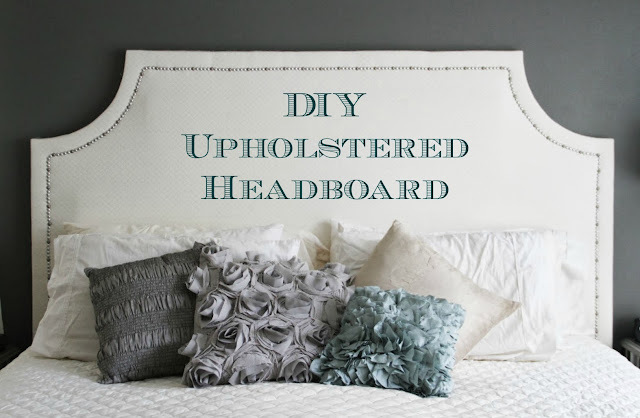 DIY Upholstered Headboard - This is by far my most popular post. I still love this post and love our headboard. I think I still get questions weekly about the headboard, the process, the fabric and my unhealthy obsession with the jigsaw. 2. Master Bedroom Makeover - Going right along with the headboard is the full master bedroom makeover post. This was such a fun post to do because I'm so proud of the way it all turned out. I love our bedroom and I think we've done a great job of making it a calm, relaxing, peaceful place. It's always full of sleeping animals and dirty clothes, but it's still one of my favorite rooms in our house. 3. Gallery Map Wall - And then there's the gallery map wall in our upstairs hallway. Again, I'm pretty proud of the way this turned out. It's the very first bright, colorful and fun home project that I attempted. I think it paved the way for my love of using color in Mac's nursery and in our playroom. I was blown away by all the wonderful feedback I received on this project, since I know it's a little over the top and probably not in everyone's taste. But i was so much fun to do and I still love looking at our beautiful maps everyday. 4. Celebrating Baby's First Christmas - I put this post together last year as we were getting ready to celebrate Mac's first Christmas with him and while it didn't get much traffic at the time, this holiday season it got a lot of hits from Pinterest. 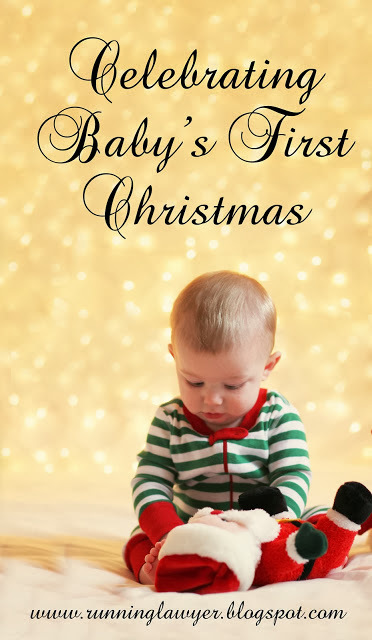 I think it's a great guide to all the fun ways you can celebrate and document your first Christmas with your new addition. 5. Hunting Widow - This really surprised me that a post about hunting is in my Top 5 posts. Maybe I underestimated the number of hunting widows out there. 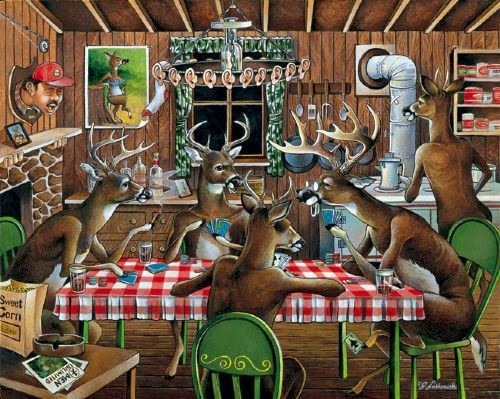 Or maybe people really like hunting cartoons. Who knows. And while they're not in my Top 5 most popular posts, I still love THIS POST about lamb cakes, THIS POST with Mac's newborn photos, THIS POST recapping our wedding day and THIS POST about superheroes. What's been your favorite post? I remember all of those top 5 posts!! I wasn't around for the lamb cakes one, but seriously??? Those things are CREEPY!! No thanks. I think your pregnancy photos/photobook post is one of my all time favorites. Can't wait to read back on all those post! I remember a few but not all of them. That headboard and your bedroom are both so pretty!!!! Love the Baby's First Christmas, too! Happy Weekend, Sara and Happy New Year! Fun! 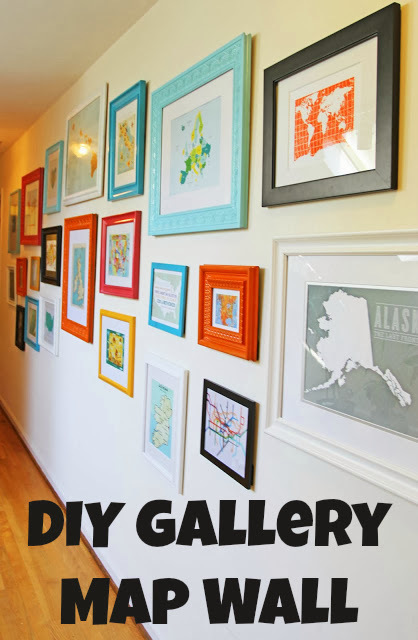 I love the DIY posts, I have never seen those! I love all of your post, but love your photography tips and just your gorgeous photos of cutie Mac!! Finally figured out back button focus, life changing. 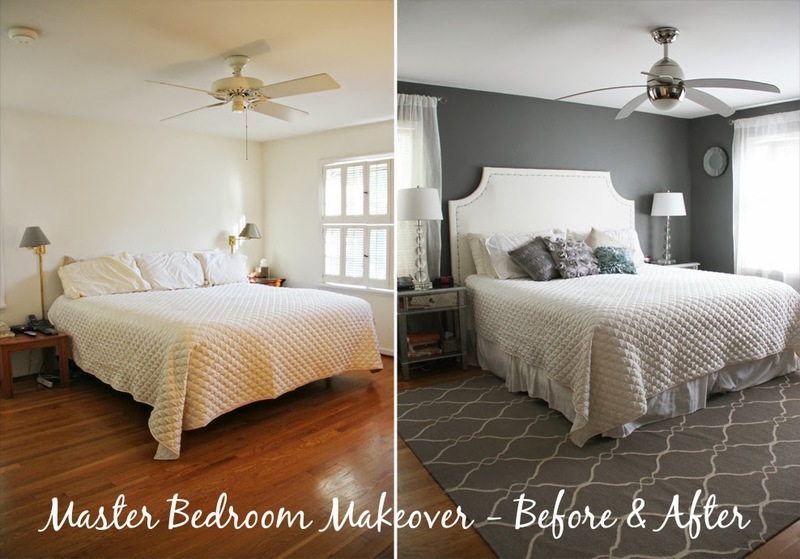 I love your home DIY projects....I need you to come help me redecorate my entire house! And I was not reading back then, but I can totally relate to your hunting widow post. Your posts are all great - I bet they were all close in popularity! I never got to see your wedding planning and recap, ohhhhh my gosh girl. AMAZING. Ok, I am DYING over the map wall. I have been looking for ideas for the nursery and Dan wants to incorporate maps and I love it!! !